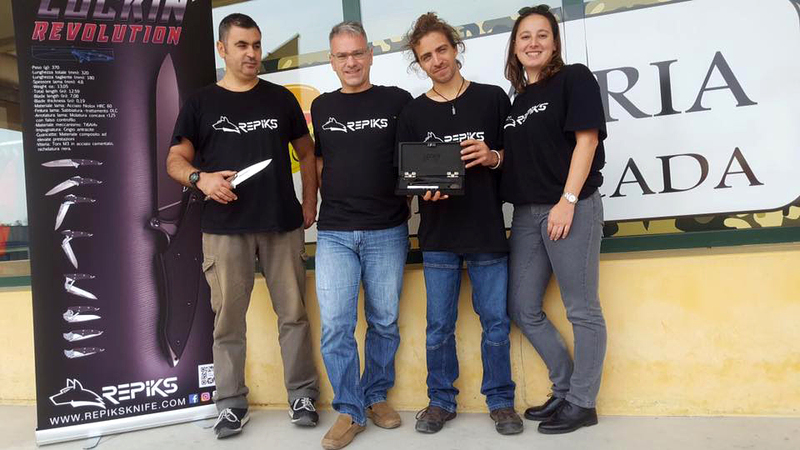 This new system developed and patented within the innovative Repiks start-up, made Alberto Gariboldi win the Mercedes-Confederal ARTIGENIO 2016 prize. 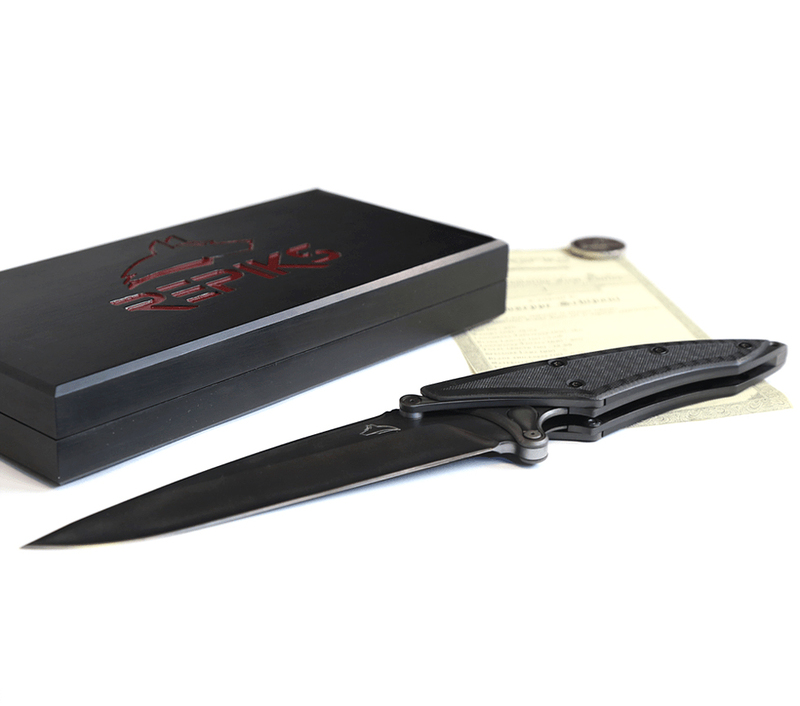 This is the first limited edition version of just 100 sequentially numbered knives. 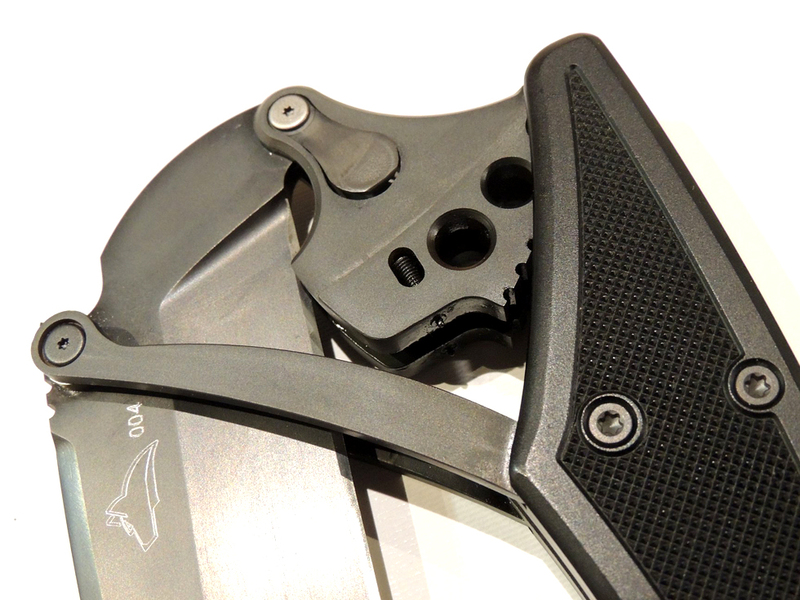 The blade is in Niolox, the mechanics in aeronautical titanium, and the handle covers in high-performance technopolymer. 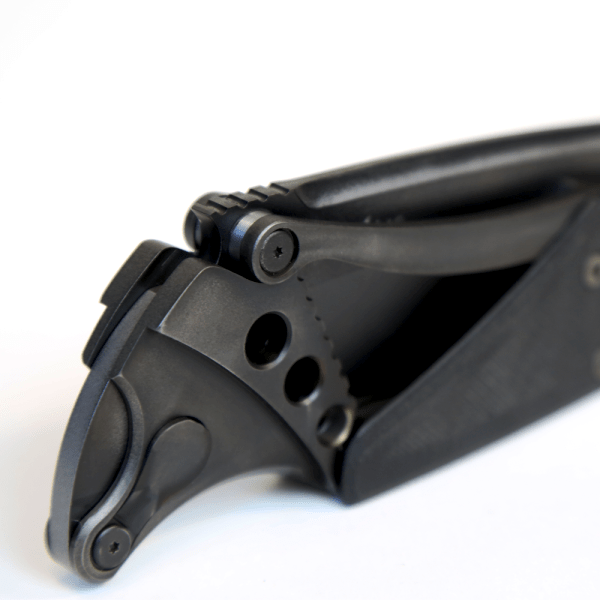 Completely stainless, the open knife has a total length of 320mm, closed 200mm, cutting length 180mm, weight 370g. 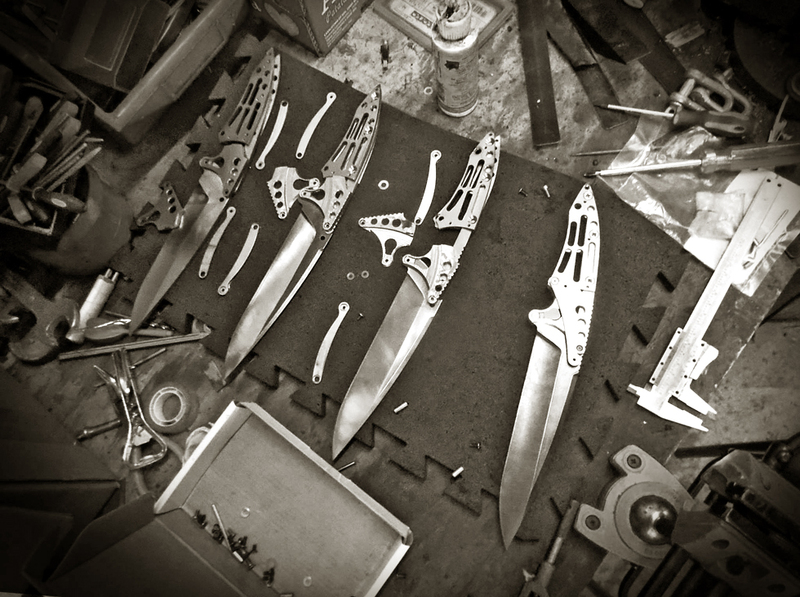 Alberto Gariboldi with his partners in Repiks also create absolutely gorgeous custom knives. 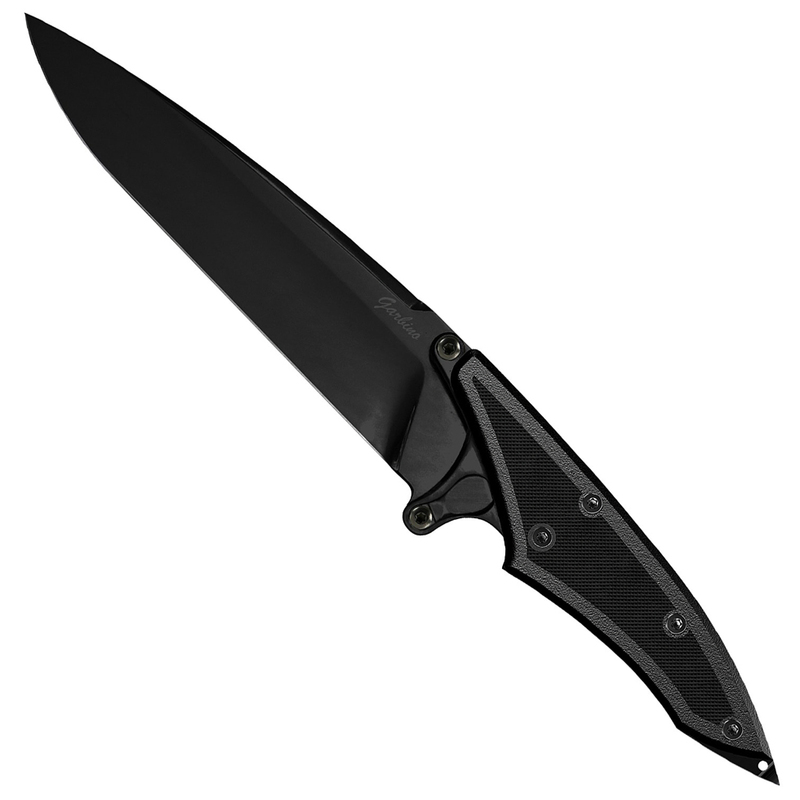 And if you like any of tese knives be sure to check Damascus Pocket Knife. 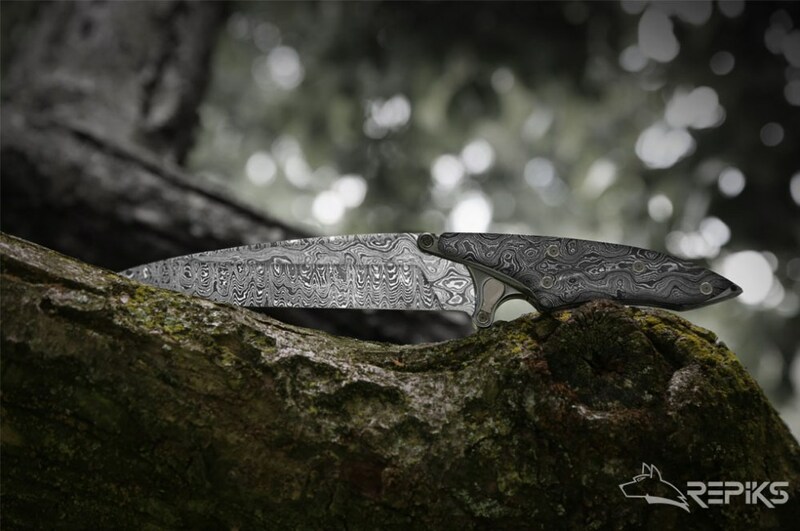 Extremely beautiful, I am in love with this knife. Where to buy? Very much, € 1460 limited edition of only 100 pieces numbered and signed with the special Mystique box. Soon a cheaper version. WOW! 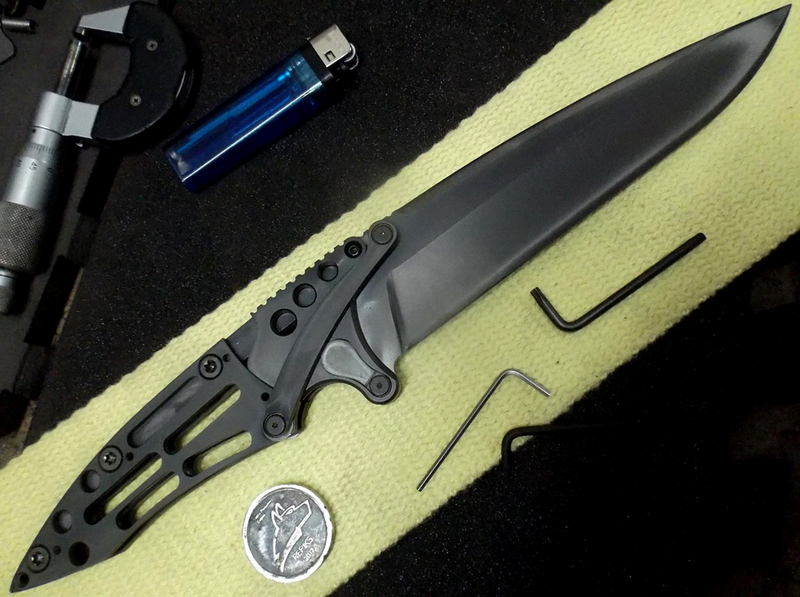 this knife has to be in my collection. 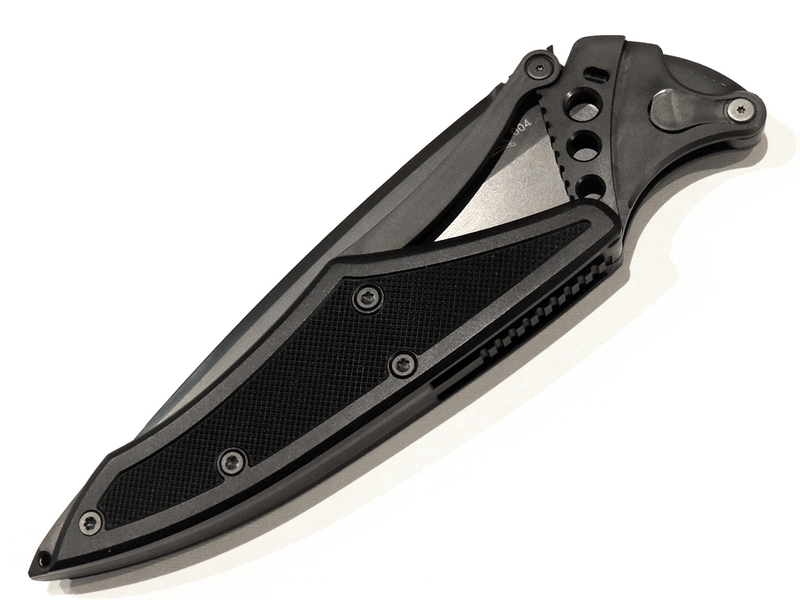 I’m confused only by its huge size – do you plan to produce more compact knife of the same construction? 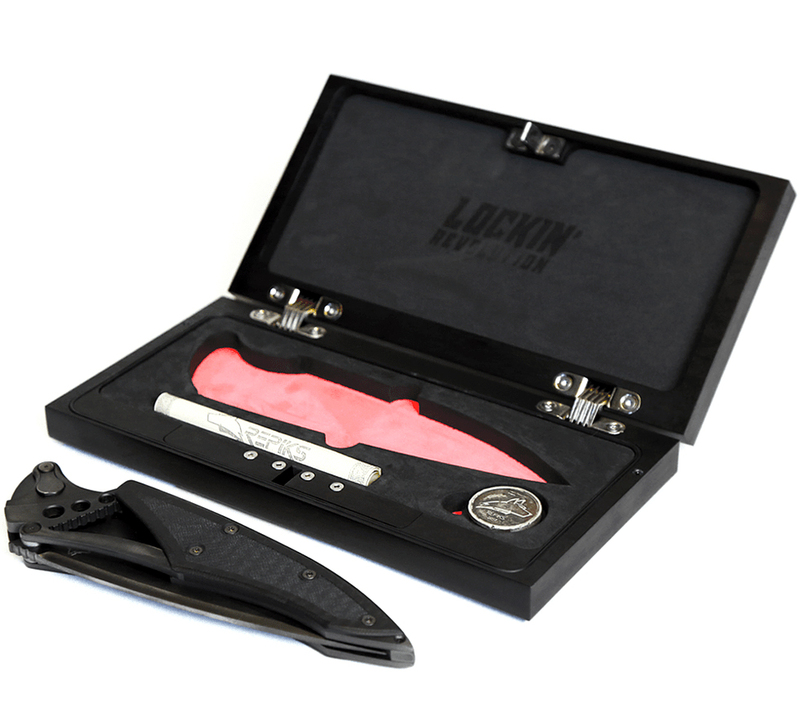 Thanks for your comment, we are planning a smaller version of the Lockin, with these measures around: closed 140, open 240, blade 130. 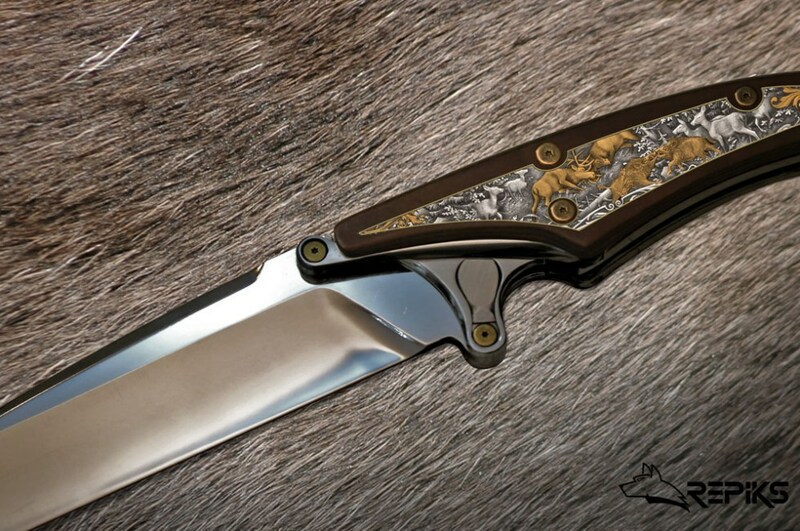 Absolutely incredible knife. I’ve never seen anything like this before. Is it available to buy? If yes, how much does it cost? 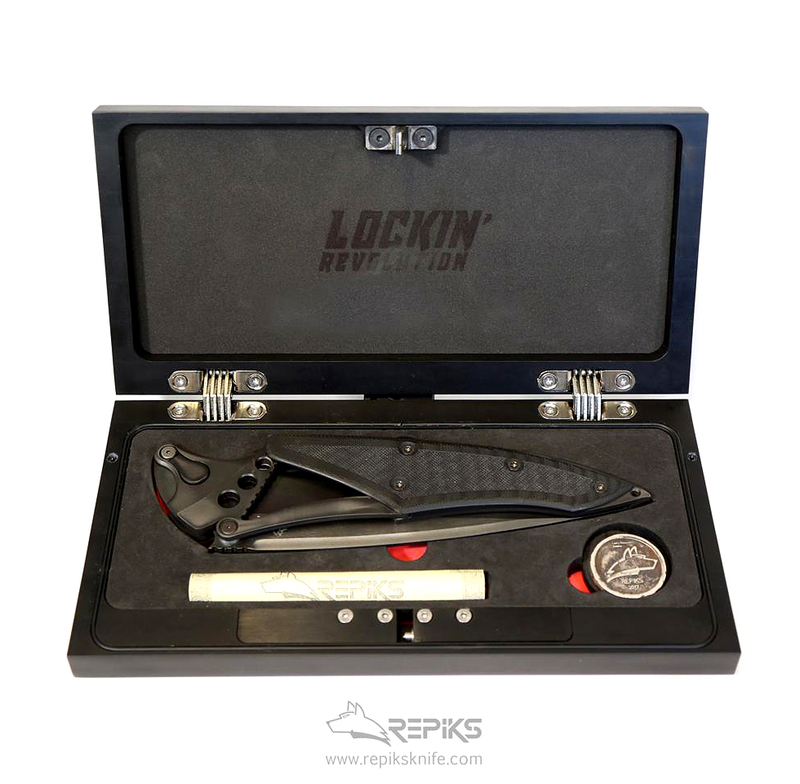 At this time the Lockin Revolution is on sale at EURO 1,460.00, but only in limited edition. The price of <> is because it is a special series of 100 pieces, with many handwork, the pieces are certified and numbered, materials of the highest quality, also with the special box Miystique (waterproof, without visible locks). A cheaper series will be released in the coming months. 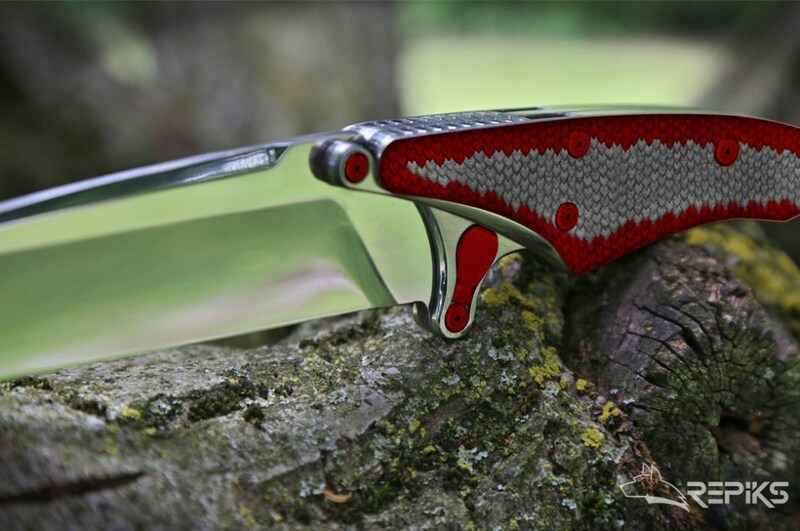 On the website http://www.repiksknife.com you can find all the information and the shop.Thank you for your interest!